Their current limited edition's called "I'm a Sweetheart". and there are 4 polishes- the only one that appealed to me, was the light-blue one. 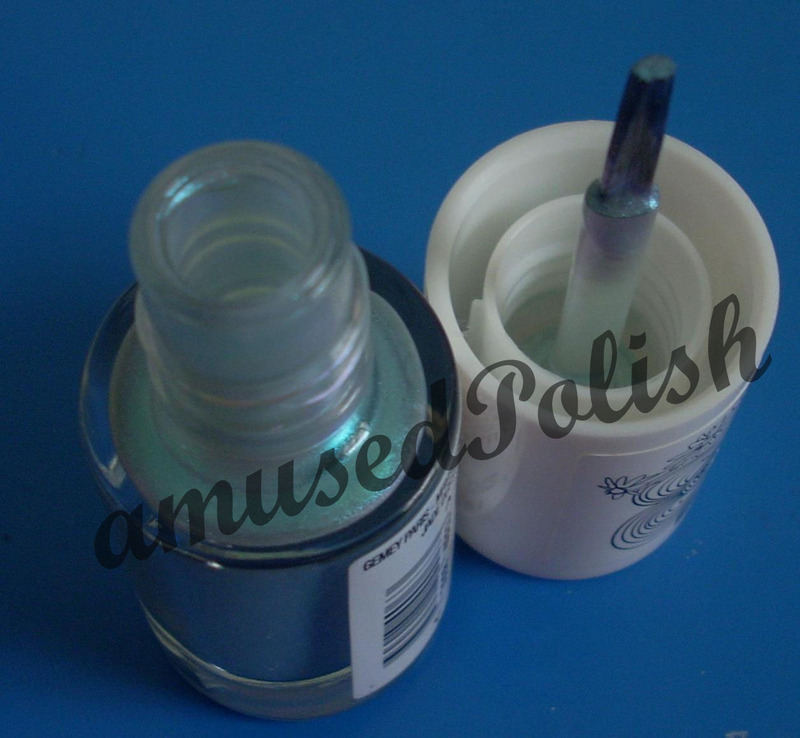 It has a slight duo-chrome effect from blue, light pink to a pearly off-white.